Family Owned & Operated Since 1987! Key Auto Hospital is the automotive expert in Pensacola, FL 32507. 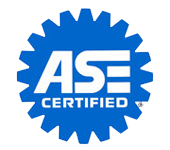 Since, 1987 we've provided the Pensacola area with reliable, affordable automotive maintenance and repair services including 4x4 Services, Brakes, Car & Truck Care, Domestic Cars & Trucks, Electrical Services, Electronic Services, Engine & Transmission, Engine Maintenance, General Services, Heating and Cooling Services, Import Cars & Trucks, Miscellaneous Services and Undercar Services. 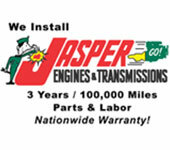 We are your local auto repair and performance speed shop. 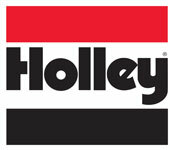 We are also a National Holley Dealership, Holley EFI Certified, and a nitrous refill station. We have a Mustang dyno, and we work on custom exhaust including pipe bending. We have experience servicing all makes and models of domestic and import vehicles, and we're honored to keep vehicles throughout the Pensacola area reliable and well-maintained. Our skillful mechanics will take great care of your vehicle too, quickly diagnosing any problems and offering cost-effective solutions to get you back on the road. Call Key Auto Hospital today at 850-492-1221! You can also send us an email. Either way, we're looking forward to providing you with reliable automotive service! I had Key Auto redo the work for my back brakes that another repair place had completely botched. I have a heavy car, 2001 Cadillac and you can feel when the brakes are good or not. After Key Auto replaced my brakes, my Deville feels great and brakes perfectly. It has been over a year now, and it still feels perfect, brake pedal is right at the top. I would highly recommend their service. Definitely a five star review. We rolled into town for our annual beach vacation. We were 1/4 of a mile from our condo when the crankshaft pulley failed causing the belt to break and stranded the vehicle. This happened on a Sunday evening. I had the vehicle towed to Key Auto Hospital without speaking to anyone going only on the reviews I saw on line. I met the shop owner as they opened the doors Monday morning to try and get some help and get our family vacation back on track. Not only did they take care of the issue, they had us back on the road within a couple of hours. The diagnosis was accurate, the price for the repair was fair and the service was very friendly. Very thankful that Key Auto Hospital was close to our location and the reviews I read were accurate. I highly recommend them for anyone from out of town... Would absolutely use them again. Family owned business. Brought my Jaguar in for new rotors, brake pad maintenance, new caliper, plus they gave it a look over. I walked in without appt, they had it done same day. I reviewed on the internet, costs of parts and labor and Key Auto Hospital was right there in the ballpark probably even a little lower. Great friendly service, definitely our new go to mechanics. So glad we found them, super happy and satisfied with outcome. Thanks Scott. I have a 1991 Corvette with a 383 stroker motor that I had built in 2014. The car ran mediocre at best for 4 years. It was hard to find a shop that could work on the car at a reasonable price. This started in Clarksville TN. 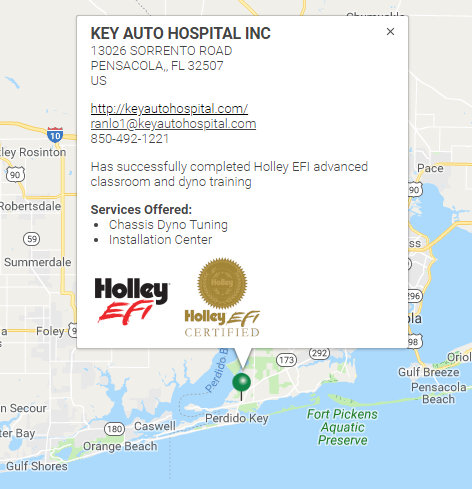 I have since moved to Navarre FL and found Key Auto Hospital. 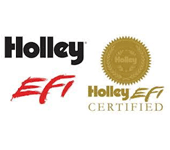 They installed a Holley EFI system on my car, and it runs great. Thanks to everyone involved at Key Auto Hospital. A great group of people. We recently spent some time in Pensacola due to Hurricane Irma. Unfortunately we had some car trouble. We could not be more pleased with the service that we received from Randy and his team. 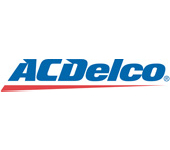 They were very honest and provided us with a very detailed estimate and explanation of our issue. The cost was very fair and they went above and beyond to help us. My family and I have been using this business for many many years. I have nothing but compliments. I am now the owner of a Toyota and needless to say, Key Auto was able to diagnose and repair the original problem and also repair the new damage that BOB TYLER caused (and yes Bob Tyler willingly repaid all my money back admitting fault). THANK YOU KEY AUTO!!! We hobbled into town the last 60 miles from Jonesborough TN with 4 grandbabies and a bad water pump on our 2014 Dodge 3500 Diesel. Randy treated us with great honesty and integrity. He gave us a quote and available time slot over the phone that we were very pleased with. We dropped the truck off that morning and by lunchtime, he called to let us know it was ready. The invoice was exactly as he quoted (a little over $400) and the truck is running great. We were able to enjoy the rest of our week vacation here on your beautiful coast! This is our 4th year and should we ever have auto issues again, we will always call Key Auto. We live locally and Randy and Lois have cared for our 2000 & 2005 Toyota vans for several years. We have received nothing but personable and outstanding service from this team, with honest and competitve estimates, and the work gets done quickly usually within a day or so as fast as the UPS or parts guy can deliver. We've never been sold a part our vans didn't need, and I am comfortable putting my teenager behind a wheel of a vehicle that is safe to drive because it has been worked on by someone who is knowledgeable and efficient. Take it from a daughter of a mechanic. I had some car issues while out of town on vacation. After reading reviews I decided to try Key Auto. Randy was promt and took care of my car issue. Everything he said was on point and at a reasonable price. This is a repair facility I would recommand to anyone, especially while being around the Orange Beach area on vacation. Good service. Was on vacation, had a throttle position sensor go out. Offered me a ride if I needed to go anywhere while I waited. Price wasn't terrible, only about $50 more than I would've been charged back home. All in all not too bad. I cannot say enough about the owner and his staff. I have a 2014 GMC pickup truck. The A/C was out, and the back door handle was broken. They showed me the problem with the air conditioning condenser, ordered the part and called me right after lunch and said that it was all fixed. I have recommended them to several other people. They are an amazing group of people. I am a snow bird living in Ohio in the Summer and south for the Winter. I say this with my word... I trust these guys. We traveled across many states to get here to vacation with our family. Our check engine light came on in our GMC Yukon XL Denali. We brought it into Key Auto Hospital, and we were very apprehensive that we would be overcharged since we are not from here. 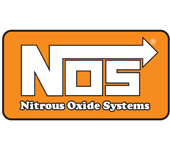 However, we were met with customer service oriented owners and knowledgeable, honest and trustworthy mechanics. We were only charged the standard hourly rate to do a thorough diagnostic and were told we were safe to travel, as it was just a sensor that needed to be replaced. They said it would be better for us to have it done once we got back home in case there were any further issues. Coming from a good size city, it is very hard to find this type of integrity. With all of that said, I highly recommend that you use them. Amazing service! They are strict to their hours but do an amazing job. They are thorough and honest, putting customer service ahead of profits. By far the best experience at an auto shop I've ever had. Definitely recommend. These guys are the best around. They are all very professional, knowledgable and friendly. We broke down on our travels and they got us back on the road in no time and for a good price. I would highly recommend talking to them before anyone else! After dealing with my Audi dealership on a three-year problem, it was Key Auto Hospital that resolved it. Randy, the owner of Key Auto Hospital, is one of the nicest and most honest guys that I have dealt with in a long time. I know that words like honesty are hard to imagine in the service industry, but these people are way honest and fair in fixing your car's problems. Like I said, I have an Audi A7 and it was under warranty and my Audi dealership told me that it was basically my imagination. Randy and the guys found the problem and solved the issue. I couldn't be happier. So if you need a mechanic because your car is broken, you found the place. On vacation in Orange Beach my 2004 Venture minivan with 212k began making noises I recognized as a front wheel bearing going bad. So based on good reviews here, I called Randy, and he said to drop it off, and they'd try to confirm my diagnosis and fix it that day. It was about 11am by the time I dropped it off, but by 3pm they called and said both sides were bad so I had them go ahead. I thought their pricing, though not cheap, was reasonable and (since these bearings had both been replaced about 20 months ago) I appreciated the 24/24 NAPA nationwide guarantee. If you're looking for an honest, reliable vehicle repair shop, then this is the place to go! We have both of our higher mileage cars worked on here, and they always do an excellent job for a fair price! 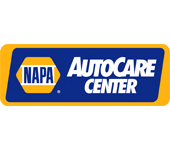 Great place to spend your hard earned money for auto care/repair. I came in w/ an exhaust modification need, and the guys nearly dropped what they were doing and hooked me up. Price was reasonable. Service was excellent, and I drove away satisfied having been there. Thanks guys!! Good guys all around. Came in for exhaust leak and oil change. Found out my exhaust was hanging for life :-) common sense advise and they did it no problem. Quick service. Saturdays you need to set an appointment. Came in 815 am for an 830 appt. done by 10 am. Did I say I was from out of town? They took care of business. I arrived from TN with my air conditioner not working. I took my car to Key Auto. They called and said it was working after their diagnostic test. They could have charged me for the repair, but Randy said they didn't do anything. If you're looking for an honest mechanic, you can trust these guys. I'm just here for a week. But I arrived with car showing electrical problem. Randy diagnosed problem quickly and had a new alternator on the same day. Friendly, competent, competitive price. Don't know what more to ask for.